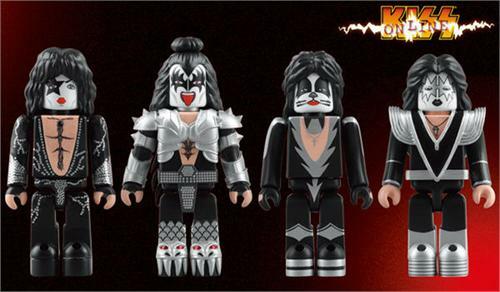 The Starchild (Paul Stanley), The Demon (Gene Simmons), The Catman (Peter Criss), and The Space Man (Ace Frehley). The figures measure 6cm (2.36") tall and all preorders are shipping today. NCS will honor preorders at the original price of US$48.90 but please note that new orders will be priced at US$58.90 due to a general price increase for the product in Japan.